On this page you will find printable workshops on various themes to complement your family’s character building toolkit, available as PDF downloads so they can be accessed worldwide at any time. The workshops are great for parents, other caregivers, or teachers. 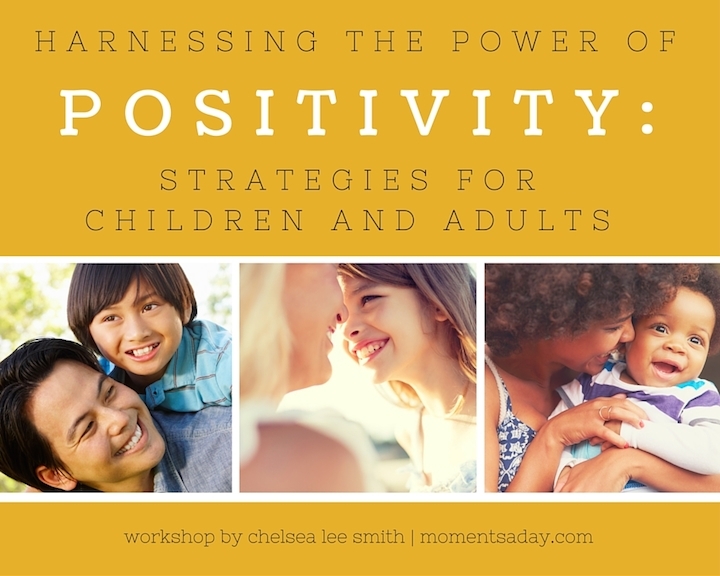 This workshop is aimed at boosting your ability to maintain a positive attitude and shares simple techniques for working on harnessing the power of positivity each day. 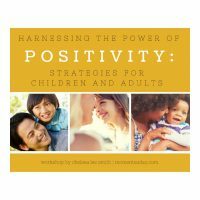 In the workshop materials, you will find several hands-on analogies of what it means to have a positive attitude, a range of worksheets and craft activities, plus 30 simple strategies to increase positivity in everyday life. What makes these materials “workshops”? These workshops are documents to be downloaded and used yourself in whatever way you choose (they are not videos or PowerPoint presentations). I call them workshops because they are activity-based. Instead of pages and pages of reading (like one might find in a book) there are short segments of text to explain ideas with hands-on activities that follow to help the ideas sink in. I’m not a parent but I work with kids. Can I still use these workshops? The workshops can be used by one parent, a couple, a whole family, a classroom, or a group of adults who work with children such as a teaching staff. The materials are suitable for children and/or adults, and are flexible to suit a variety of teaching and learning styles. What is the format of the workshops? Workshops are meant to inspire reflection as well as action. There are short reading components, discussion questions or worksheets to fill in, activity suggestions, and more. How do I receive a workshop? After purchasing the workshop via PayPal, a PDF download link will be emailed to you. The document will contain all the workshop materials. What do participants get out of the workshops? The workshops are aimed at offering the participants simple yet effective methods to enjoy (and do their best at) this journey called life. Each workshop will outline specific strategies to implement around the relevant theme. Hi, I’m Chelsea Lee Smith. I started this website Moments A Day in 2013 to share the benefits of incorporating character building into family life, and have been absolutely humbled by the response to my articles, ebooks, and other online resources. I have written a lot about positive parenting, personal growth, and also offered tons of character building activities for kids. These workshops are a deeper exploration of some of the themes you will find on the site, sharing specific strategies to incorporate lessons into life with kids. This is a mini workshop aimed at giving parents, caregivers and teachers the tools to write meaningful stories for the children in their care to help them address challenges in life. 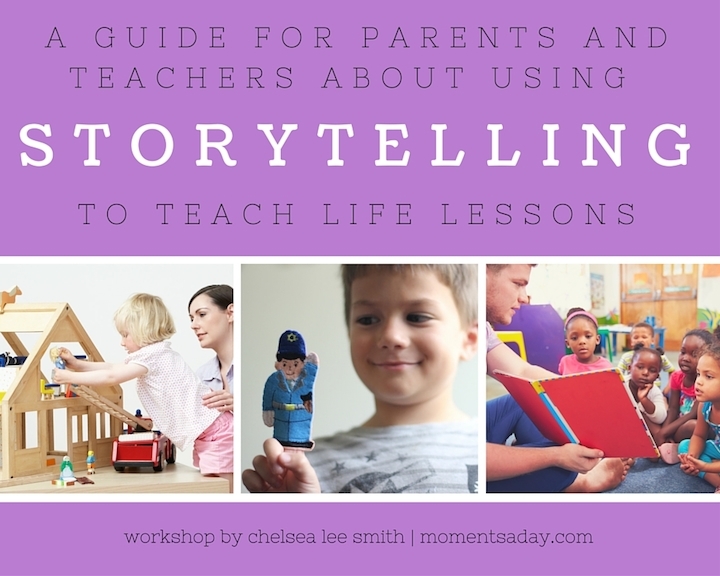 With an introduction to storytelling, ideas for choosing characters, two worksheets to plan out a story and more, the materials offer a good overview of how stories can be used in a family or classroom setting to help children work through problems, develop skills, and consider new ways of solving problems. Sign up for my newsletter to find out when the workshop is available.